What is the packet tracer? 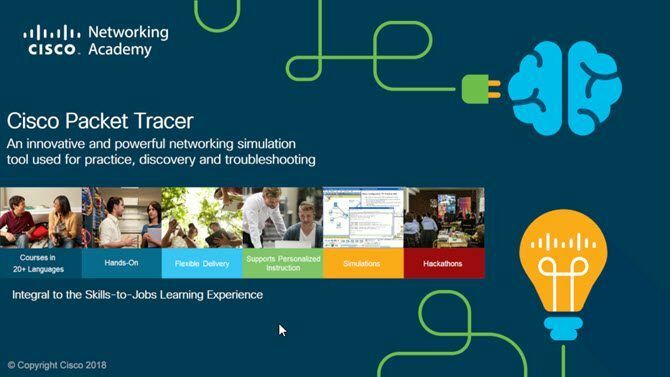 Cisco Packet Tracer is simulation software from Cisco Network Academy which can simulate a Cisco network without having a physical network. It has a drag and drop interface which is easy to use yet highly effective while configuring complex networks. 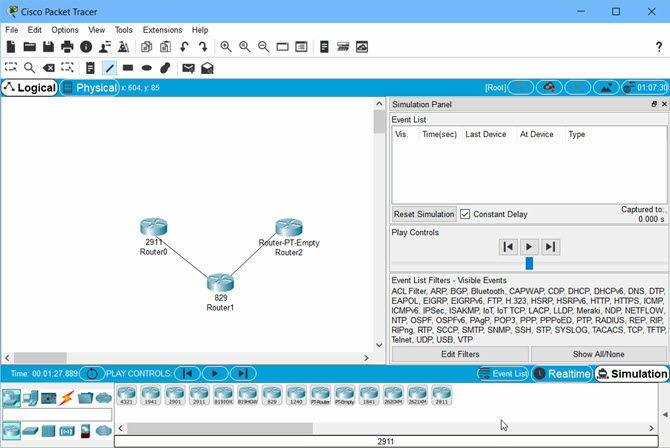 Cisco Packet Tracer can also run as a hybrid network combining physical networks and the simulated networks. All this is achieved by using a drag and drop visual interface. This capability makes the software unique and highly useful across institutions and individuals worldwide who want to learn and practice their networking skills before touching the production networks. Free for everyone, institutions, and individuals around the world. Earlier, it was only free for Cisco Network Academy students. Practice complete Cisco Packet Tracer labs from the Networking Academy in their skills and career building program for learning (CCENT, CCN, CCNP Security and CCNP Switch exams, in fact, any Cisco certification). Equally useful program for learning for institutions and individuals. You can run and practice Cisco IOS Operating System without having a physical router and network. Last but not least, it can also run on a mobile device! Let’s first discuss what’s new in Packet Tracer 7.2.1 and then move on to the Cisco Packet Tracer free download section. Although Cisco Packet Tracer is free to download and use, Cisco Networking Academy makes it compulsory to have a Cisco account in order to download and even use the software. 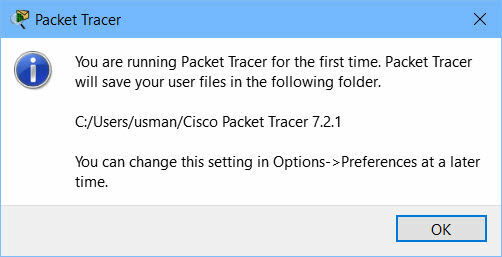 What’s new in Packet Tracer 7.2.1? Just like Cisco Packet Tracer 7.1.1, the version 7.2.1 is a maintenance release and does not contain any major updates. The complete build no. of this release is 7.2.1.0218. Only one major bug was fixed in this release. The bug in previous versions of Packet Tracer was that if the user had logged into Packet Tracer software, the user was required to log in again after every system restart. For Packet Tracer Skill-Based Assessment (PTSBA) to use this version of Packet Tracer, please close all web browsers or restart your computer. After that, you will be shown another notice that you are running Packet Tracer for the first time so your files will be saved in the default folder. And then you will get a login screen. 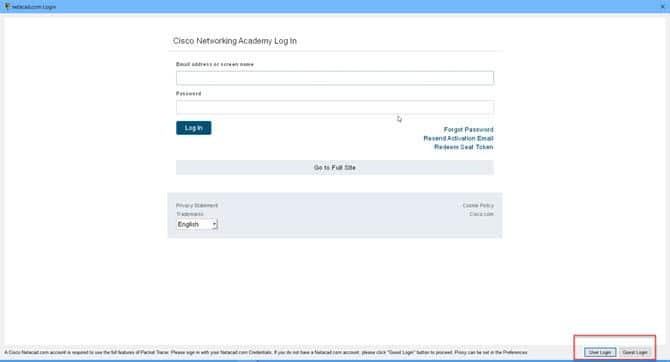 You can either log in with your Cisco Network Academy log in ID and password or run the software as a guest. For running the software as a guest, press the “Guest Login” button at the bottom right side of the window. One caveat of guest login is that you will have to wait for a few seconds and then click on “Confirm Guest” button to start using the software. And then you can start using the software as per your choice. I have not been able to find a direct executable or dmg which can run on Mac OS. If anyone finds a solution, please let me know in the comments below and I’ll put it here. Discontinued by Cisco. The new security release version 7.2.1 should be used instead. If you have 32-bit Linux installation, you may want to download the Cisco Packet Tracer 7.0 instead of 7.1.1. How to use Packet Tracer? There are a lot of tutorials on Youtube and the Internet which can guide you through the network learning process using Cisco Packet Tracer. Here are some good tutorials for learning the basics.